The Second Open European Mahjong Championship (OEMC), which was held June 21- 24 at the Idraetsfabrikken in Copenhagen, attracted 136 players and 34 teams from across the world, including the Netherlands, Germany, France, Japan, China, Spain, Italy, Sweden, Austria, Denmark, Hungary, Portugal, Belgium, Finland, Bosnia and Herzegovina and the United States. MahjongTime.com, the premiere Internet mahjong site, was honored to sponsor this exciting global event. The tournament kicked off with a reception on Thursday evening. The President of Mahjong Denmark, Ms. Tina Christensen, welcomed the players who had gathered to match their skills, wits and luck over the following three days. Mr. Uwe Martens, President of the European Mahjong Association and Head Referee of the tournament, then told the story of the initial mahjong championship tournament held in Nijmegen, Holland a few years ago. That first championship event has resulted in approximately 20 international mahjong tournaments being organized across Europe. Mr. Martens commented that, “The mahjong story will be a never ending story.” The next day, the 136 players came back together to compete. After the first round was complete on Friday, the leader board had three players at the top with 12 points—Norbert Tschinkel (Austria), Nusreta Mauthner (Bosnia and Herzegovina) and Pa’l Hala’sz (Hungary). The second day saw the initial three leaders replaced by three new frontrunners—Martin Wedel Jacobsen (Denmark) with 21 points, Kohichi Oda (Japan) with 20 points and three players who were tied with 19 points. They were Gao Junrong (China), Angela Plebani (Italy) and Kimito Kugimiya (Japan). The second day of the OEMC competition involved some controversy as a player from Japan, was caught cheating with extra tiles. First the player was penalized and then, after a special committee for the tournament met, he was disqualified. On the final day, the third round leader and winner of the tournament was Denmark’s Martin Wedel Jacobsen with 27 points. Japan’s Kohichi Oda held onto second, finishing with 26 points. The third-place finisher was the USA’s Benjamin Boas. Boas had been in tenth-place the day before with 17 points. His surge at the end to 25 points took everyone by surprise. The three best teams were Team Tokyo in first-place, Norse Winds in second-place and France Bleu in third-place. Norse Winds was also the Best European Team. The Second OEMC proved to be an exciting competition that brought together a globally diverse group of competitors. On June 22 the European Mahjong Association announced that the next OEMC would be held in 2009 in Austria. The specific location has not yet been chosen. Certainly, this next event has the potential to be even bigger and more electrifying than this year’s fine tournament, while offering even greater competition. Great news-- if you’d like to compete in a European championship event, you don’t have to wait until 2009 or travel to Austria. You can participate in the first sanctioned Online European Mahjong Championship (OEMC-Online) on September 8 and 9, 2007. By offering this exclusive, first-time championship competition, MahjongTime.com continues to be the world leader in the mahjong community. 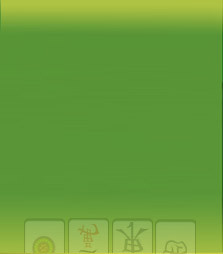 Numerous national governing mahjong groups, including Mahjong Denmark, the Fédération Française de Mah-Jongg, the Dutch Nederlandse Mahjong Bond and the Hungarian Magyar Mah-jong Szövetség, have inked sponsorships contracts with MahjongTime.com, making the OEMC-Online a preeminent event. For more information on this upcoming competition or to sign up, simply click here: http://mahjongtime.com/OEMC-Tournament.html.